Looking for a minimalist light switch? Look no further than our chic matt white rocker switch. 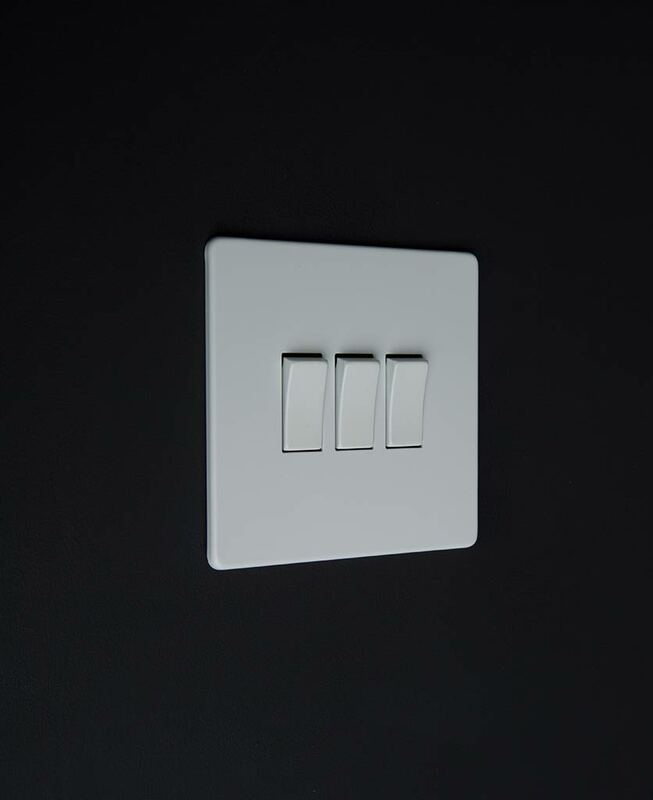 Featuring a matt white plate, a choice of rocker switch finishes and concealed fittings, this switch looks amazing in contemporary spaces. 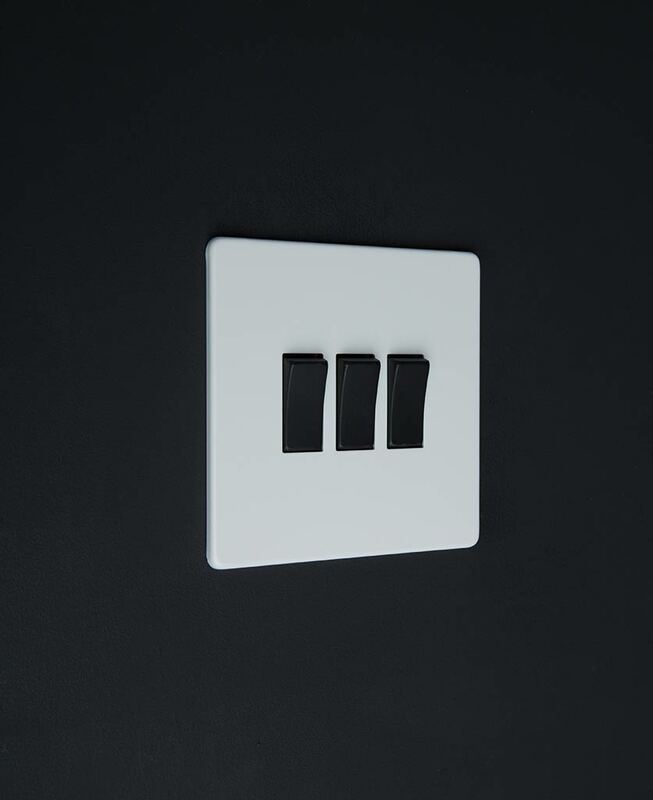 Our white triple rocker switch is the epitome of minimalism. Featuring a matt white coated steel plate and a choice of rocker switch finish, this understated switch is the perfect finishing touch to contemporary spaces. We’ve even made the fittings concealed, there are no screws ruining our exclusively designed switches and sockets. We just love the simplicity of this chic rocker switch. Even the switch detail is smooth and tactile…it also makes a really satisfying click when you turn it on and off. What more could you ask for? Our white triple rocker switch makes up part of our ever-growing white switches and sockets range. A collection created exclusively here at D&R to give your interiors a high-end finishing touch without breaking the bank. We have everything you need, from toggles and dimmers to appliance switches and USB charging ports, simply mix and match across the range to add a designer flair to your interiors.